On Saturday September 29th from 2-11pm, join Cam & Greg and our Brewmaster Marek as they kick off Oktoberfest with a ceremonial keg-tapping. 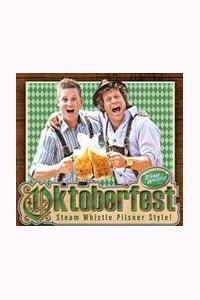 Hosted by George Kash and the Oktoberfest Express, the festival will include litre steins of Steam Whistle Pilsner, gigantic doughy pretzels, lip-smacking sausage & sauerkraut, folk dancers, and arm-linked crowds joined in revelry and refreshment. $25 at the door includes your first one-liter Pilsner, and an authentic stein to take home.